In credit card processing transactions, fees represent a significant amount of your monthly overhead. Because of this, you need to work with the right credit card processor. After all, by understanding how fees work for credit card processing, you can find options to save. Once information on a transaction is entered, a request goes to the issuing bank, which verifies the account’s standing. If the funds are available, the transaction is approved, but if not, it is declined. Once funds are electronically deposited into the processing company’s account, they are then deposited into your bank account, minus applicable fees. The issuing bank bills you on a monthly statement or by a debit card, to deduct fees from the associated account. Unfortunately, the cost for credit card processing transaction increases annually. In fact, MasterCard and Visa review the current rate structure each year to determine if the fees should change, which typically happens. Within this structure interchange are 150 unique categories based on the card type, method of transaction, when the transaction was settled, and so on. Attached to each category is a percentage rate, as well as per-item fee that can range from three-quarters of a percent to over three percent. Interchange fees represent the amount of the transaction given to the issuing bank, and are the fees for participating in the banking network. Due and assessment fees go hand-in-hand with both MasterCard and Visa. Although the amount is nominal, considering that both of these credit card processors handle billions of dollars annually, the numbers become staggering. For instance, on the current percentage, the amount equates to $92 million for Visa and $95 million for MasterCard every year. Credit card processor companies use four primary pricing strategies, including the following. Knowing this can help you better understand how fees are calculated. Flat Rate Program—The processor sets one high rate to cover all card types, so ultimately the processing company makes a greater sum of money off cheaper cards. 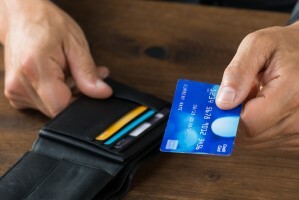 ERR Rate Program—The merchant receives a low rate on card transactions, usually below 2 percent. Three-Tiered Rate Program—Of all pricing strategies, this is the most popular, but also the most complex. Processors lump all of the 150 interchange categories into Qualified, Mid-Qualified, and Non-Qualified, with Qualified offering the lowest rate. Interchange Plus Program—The merchant is charged pure interchange fees as well as a discount rate. As a result, the processor is compensated but as the merchant, you know the exact amount. To understand more about credit card processing fees and gain assistance in saving money, Chosen Payments is the ideal solution. This company provides assistance with many additional services to help your business grow.